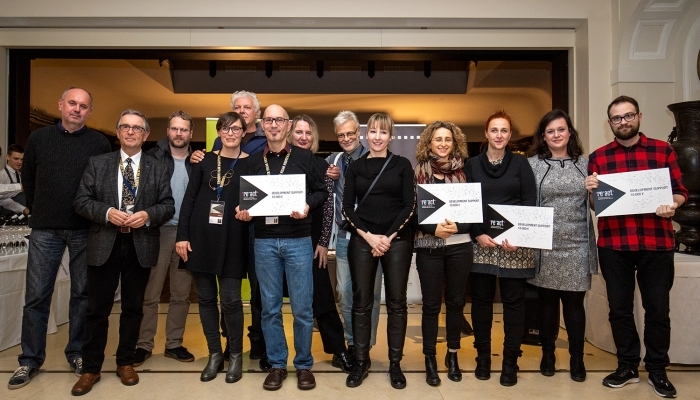 During a brief ceremony held in the framework of the annual When East Meets West Co-production Forum in Trieste, the representatives of Croatian Audiovisual Centre, Friuli Venezia Giulia Audiovisual Fund and Slovenian Film Centre, the partner funds of the transregional audiovisual cooperation and training initiative RE–ACT set up in 2015, announced a selection of six projects, recipients of the fourth round of RE–ACT co-development funding support. Six projects in question, awarded 10,000 Euros each, were chosen out of 23 applications in total, by the Programme Council of the RE–ACT, in consultation with two renowned European film experts: Katerina Kaklamani and Martichka Bozhilova, for fiction/animation and documentary projects respectively. RE–ACT co-development funding scheme which can support up to six projects per year is intended for feature-length fiction, documentary, animation and experimental projects, as well as short animation projects in advanced stages of development, and is aimed at filmmakers and producers from the territories of the partner funds who wish to co-develop projects together and foster closer professional ties in between Croatia, Friuli Venezia Giulia (IT) and Slovenia. New deadline for applications is 19 November 2018! Novi rok je 19. studenog 2018. godine, a poziv za razvoj koprodukcijskih projekata namijenjen je dugometražnim igranim i dokumentarnim te dugometražnim i kratkometražnim animiranim filmovima.